It’s never too late to expand your network. No matter what stage of your career, building relationships should be a constant thread in your professional life. I recently attended a conference hosted by the Maryland Career Development Association titled “Connecting the Dots: Careers, Clients and Corporations.” One workshop was especially useful and I wanted to share some of the highlights. The workshop, “How to Make Networking Connections,” tackled common challenges faced by individuals as they try to expand their professional network, make new connections, and find job opportunities. It was led by Marcia Hall, author and founder of Reputation Counts, an organization dedicated to helping students and professionals build their professional reputation and network more effectively. During the training, Marcia directed the group to practice networking techniques that deal with real-world scenarios. She covered common challenges that we face while connecting with other professionals at conferences, workshops, or any opportunity that facilitates a networking environment. The tactics she offered are based on The Eight Competencies of Networking. Here is what you need to know to increase your chances of making professional networking connections. Know your goals. Professional networking requires preparation and strategy. Start by focusing on your goals. Make a list of what you want to achieve from every interaction. When you walk into a room, you need to identify the person or group that will have the information you need to make a mutually meaningful connection. Asking for what you need is a good start. For example, if you are looking for a job in the paralegal field you might ask, “Is there anyone you know at this conference that works in the legal industry?” Keep in mind, you may have information that the other person needs -- it is a give-and-take relationship. Start a conversation. Approaching someone you don’t know can be difficult and intimidating, so the temptation is to sit with friends or colleagues. Marcia recommends scanning the room and targeting that one person standing or sitting alone. A group of two or three people at a table is also a good find to strike up a conversation. Walk up to the person or pair and simply introduce yourself, and ask if you can join them. If they say yes, you want to begin to ask open-ended questions. If they say no, respond with, “OK, I will catch up with you later,” and move on. Remember, you have goals to achieve in a short amount of time. Speak plainly. Steer away from industry speak. Don’t use acronyms when explaining what you do. People outside your industry will lose interest if you use too much jargon. And don’t overlook some of the simplest things. For instance, if you have a name that is difficult to pronounce, help people pronounce your name correctly. Build trust. To establish a real connection, people need to trust you. It takes six to eight interactions before someone will consider you dependable, competent, and trustworthy. Pay attention, be present, and tune in to what people are saying. Follow up. Maintaining contact requires effort. Start with an information exchange. 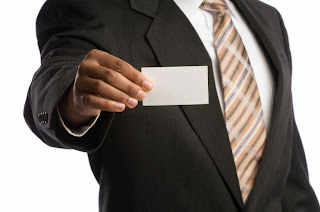 Next, locate your professional contact on social networking sites like LinkedIn or Twitter. If this person can help you meet your goals, request a connection. Follow up with an email or message as a reminder that you value and appreciate his help. If you promised to provide something, provide it immediately. This demonstrates character and integrity. Follow-through is another way to fulfill the six to eight interactions that build trust. Finally, if you come across something that could be of interest to your new networking contact, such as a website, article, or video, send it. This is one way to nurture the professional relationship and keep the door open to request more information in the future. I hope you find this information useful. Marcia has many additional resources and advice for becoming a better networker on her website. And don’t forget that Peirce’s Career Services team is always available to help you with everything from networking to interviewing and resumes.